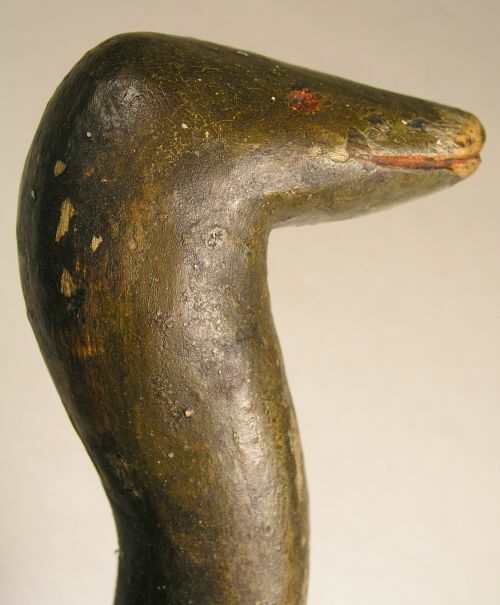 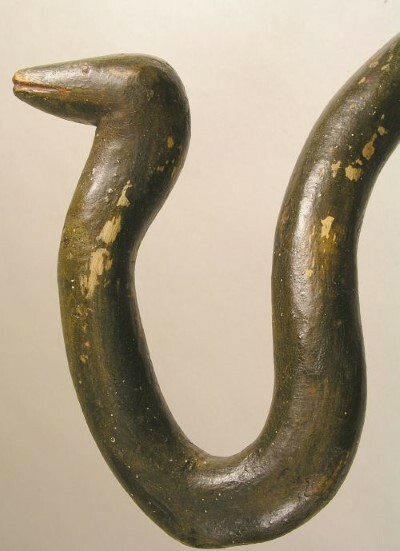 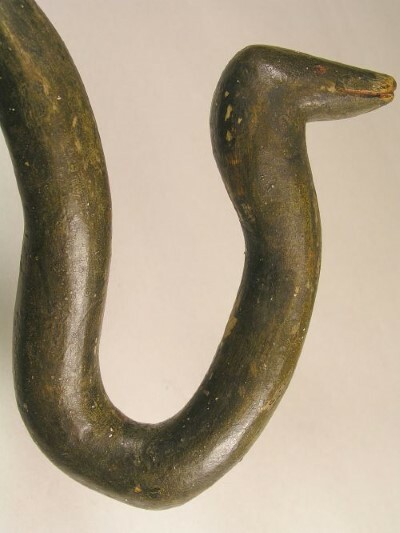 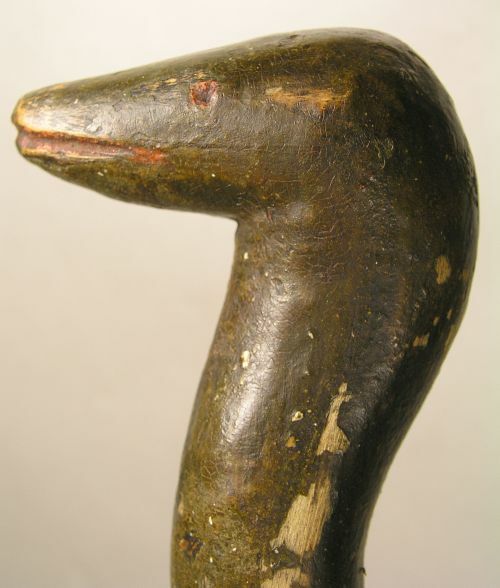 Painted cane made from wooden root with carved snake head. 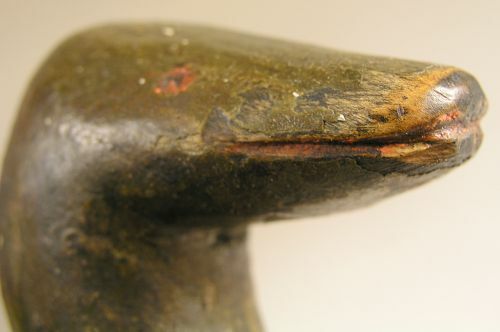 Great details with carved mouth and eyes and painted an old dry green. 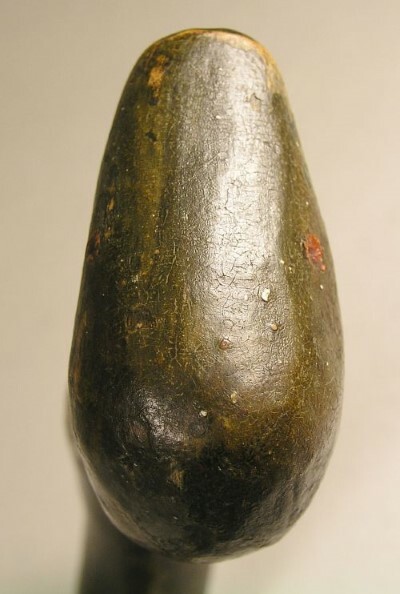 Dimensions: Measures overall 36" tall.